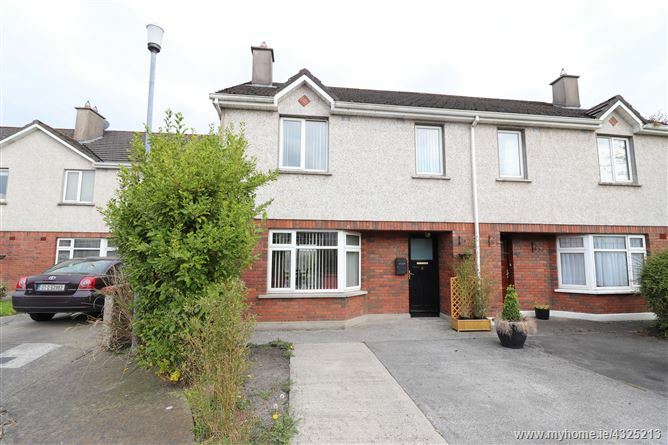 Rooneys are delighted to offer for sale this three bedroom semi-detached property which is located in the quiet and settled cul-de-sac estate of Meadow Springs off Brookville Avenue in Clareview. 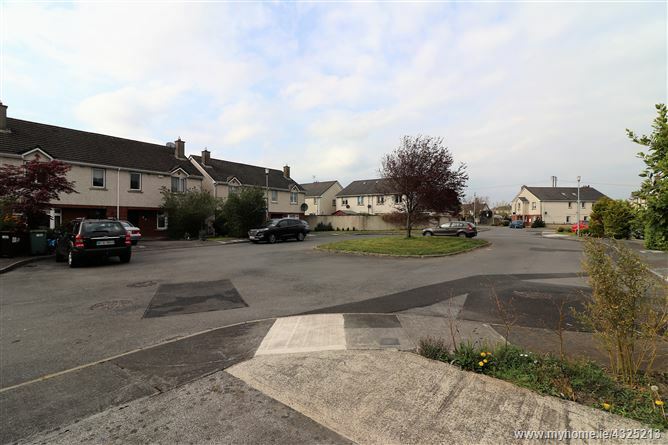 This house is only a short stroll from many local amenities including excellent national and secondary schools, LIT, Ennis Road Retail Park, Thomond Park and many more. 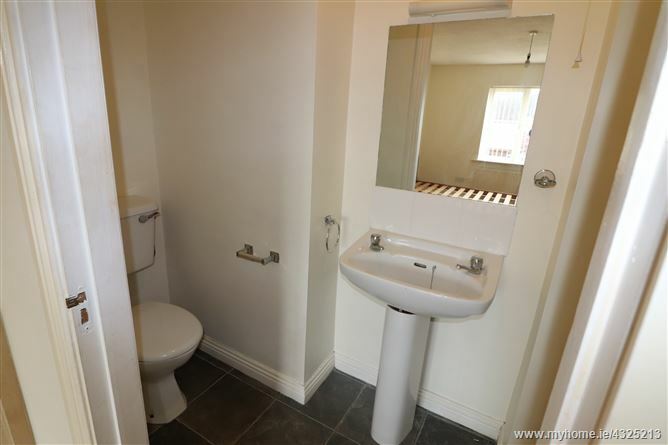 The accommodation consists of an entrance hall, downstairs wc, kitchen-diner, living room, 3 spacious bedrooms one of which is ensuite and main bathroom. 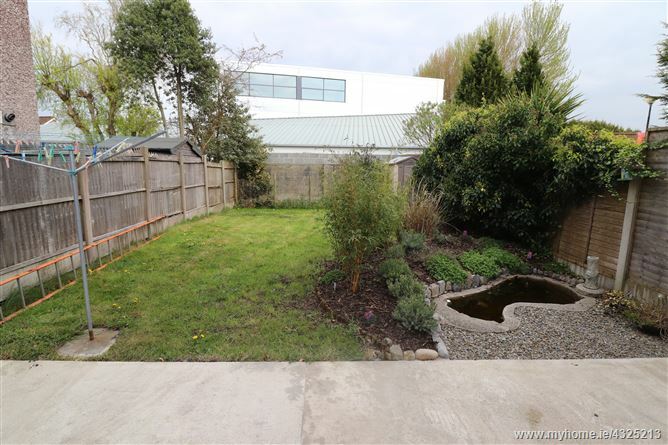 To the rear there is a large, enclosed and private garden which has a paved area and side entrance. To the front there is a driveway. 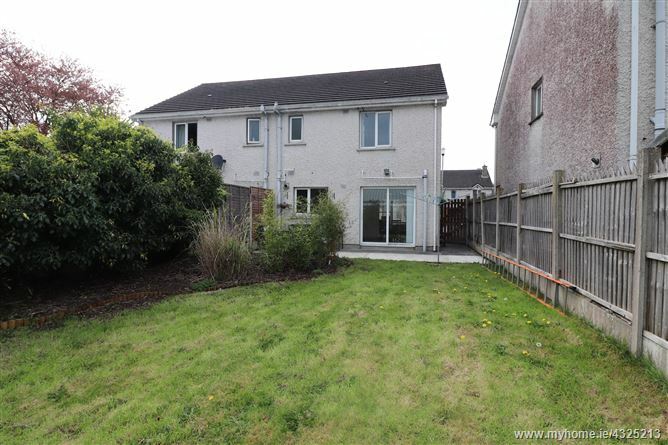 This property would make an ideal home or investment property. Approx. size 93.95 sq/m (1,011 sq/ft). Gas fired central heating. Double glazed PVC windows. 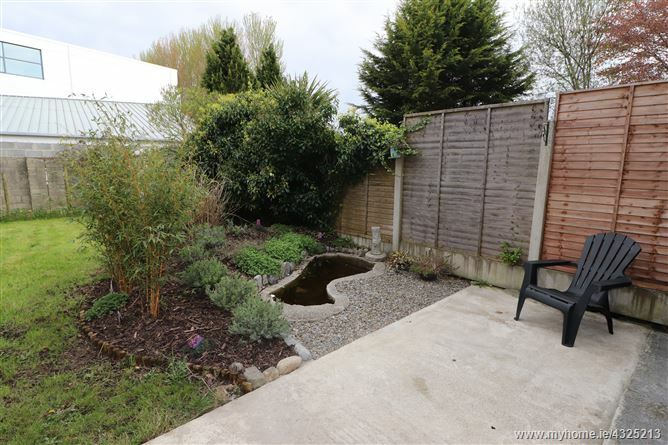 South-east facing rear garden with shed and pond. Fantastic location close to an abundance of amenities. Easy access to the M20/M20/N18 motorway/duel-carriageway. Quiet settled cul de sac. Entrance Hall - 4.25 x 1.87. 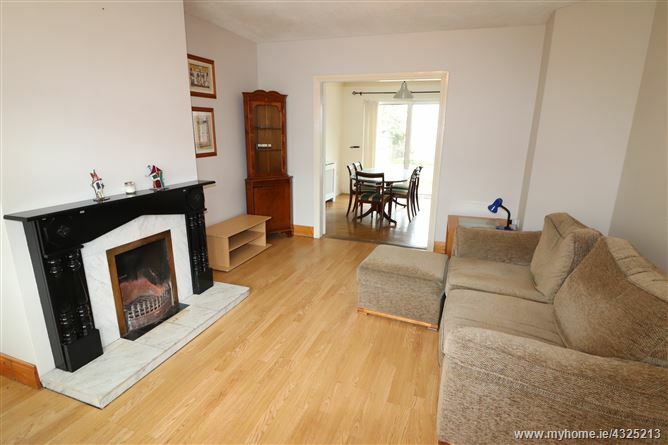 Lino floor, carpeted stairs and landing, radiator cabinet. Living Room - 3.69 x 4.26. 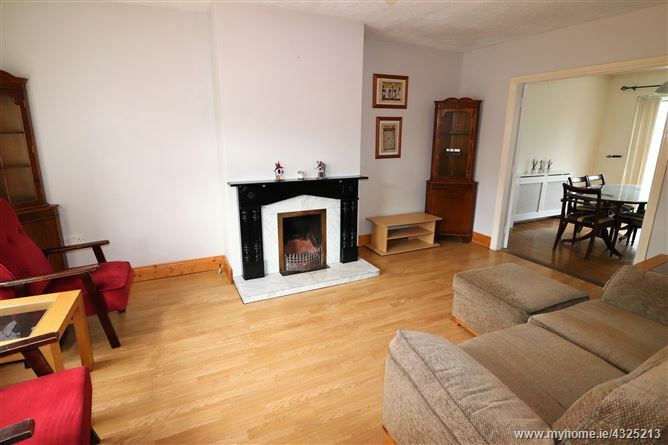 Laminate floor, open fireplace, double doors to kitchen-diner. Kitchen-Diner - 5.69 x 3.39. 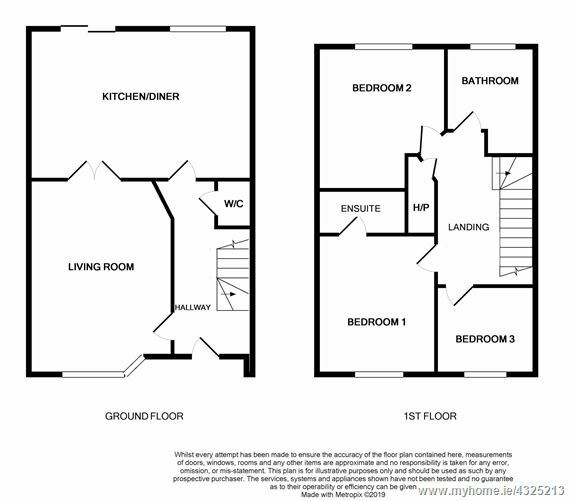 Lino floor, fitted kitchen units with breakfast bar, electric oven & hob, fridgefreezer. Bedroom 1 - 3.09 x 3.97. 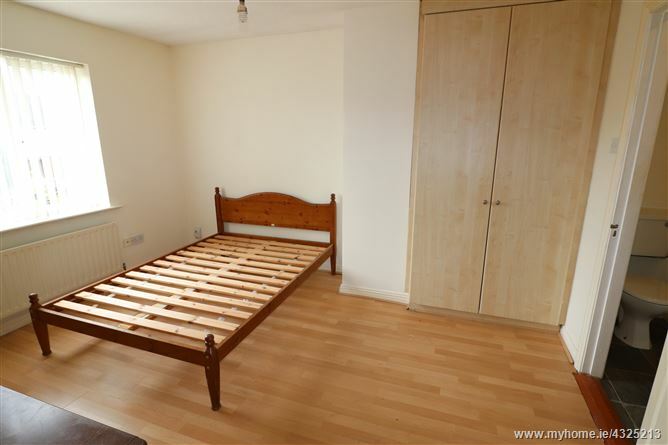 Double bedroom, laminate floor, built in wardrobe, ensuite. Ensuite - 2.87 x 0.77. Semi-tiled, wc whb, electric shower. Bedroom 2 - 3.53 x 3.70. 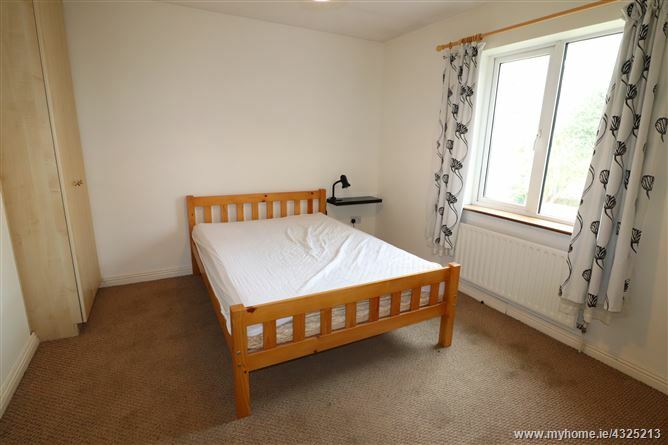 Double bedroom, carpeted, built in wardrobe. Bedroom 3 - 2.93 x 2.49. 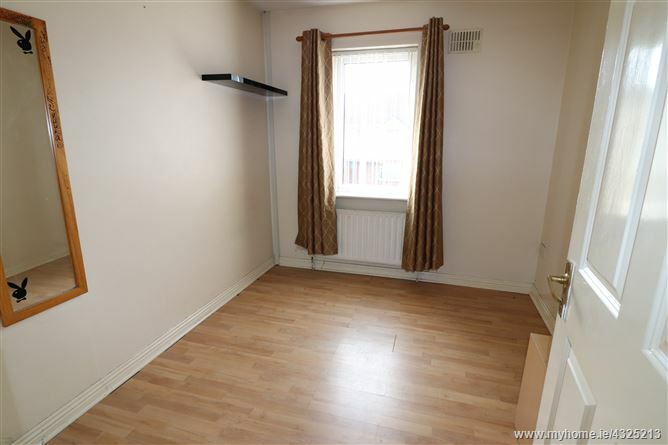 Large single room, laminate floor, built in wardrobe. Bathroom - 2.06 x 1.87. 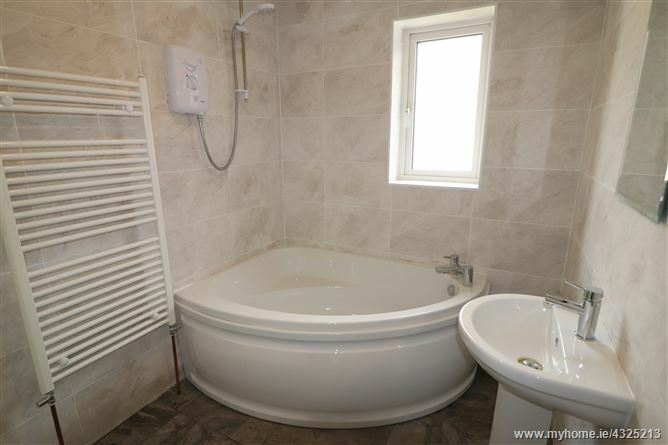 Recently renovated-new tiling wc whb corner bath and shower. Travel from Limerick out the Ennis Road (R445). Turn right at Ivans Cross and continue on the road until you come upon the entrance to the estate on the right hand side. Meadowsprings sign is on the left side as you enter same. Continue straight on into the estate, number 9 is the second last on the left hand side with Rooney for sale board.